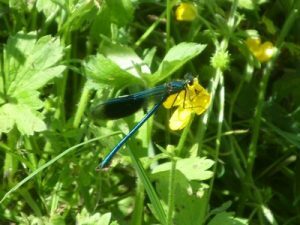 Wom Brook Blog – This is the Friends of Wom Brook weblog (April 2018) The site is still under construction. 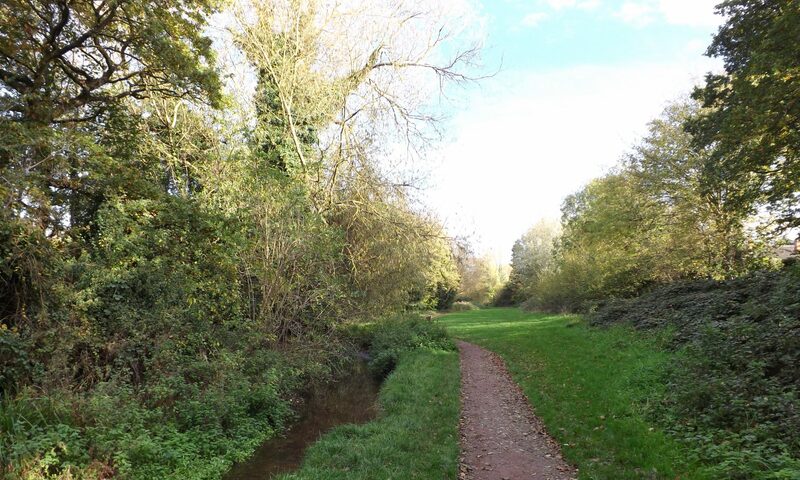 On Saturday 15th November 2014 Anita and I walked along Wom Brook and the Railway in search of Toadstools. 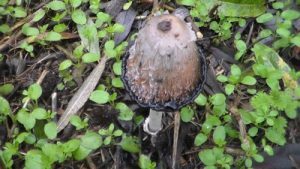 One of the species of Toadstools we found were (as you might have guessed already from the title and the previous post) Shaggy Ink cap (You can see that its cap is ‘Shaggy’ hence the name) – or its Latin name Coprinus comatus. We found these toadstools on the Wom Brook walk. 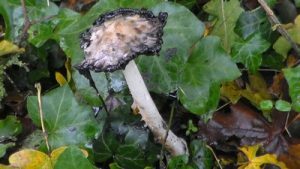 The top image shows a Shaggy Ink Cap at a stage where the bottom of the cap has curved upwards revealing some ink whereas the early stages the bottom of the cap is attached to the stalk (shown on the photo on the previous post by Daniel). The next photo down shows another at a later stage where the cap has become more flat and is gradually going to ‘disappear’. Finally on the next photo another Shaggy Ink Cap’s cap has turned into a kind of ‘Inky mess’! And is at one of its final stages of existence. Many fungi are now fruiting such as this Shaggy Ink Cap, Coprinus comatus. 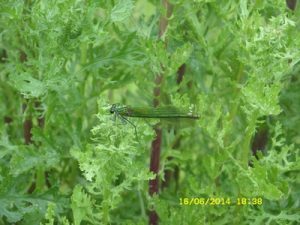 James, Anita and Dan went on a walk from Lower End Bridge to Pool House looking at different flowers and butterflies. On the way, we saw a female Banded Demioselle. We knew this because it had green coloured wings. Later on, We saw a male Banded Demioselle!! The wings were both colourless and there was a blue band on both of them. Now you know how to tell a male to a female Banded Demioselle!! (The two photos below were taken by James). Try and guess which is the male and which is the female!